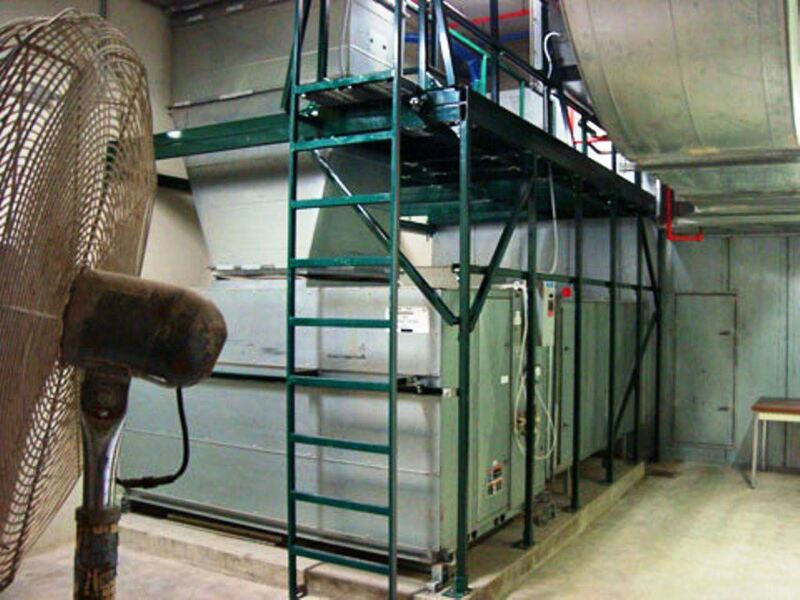 Whether your employees need elevated platforms to access HVAC units, mechanical, electrical, and plumbing (MEP) systems, Unistrut Service Company can help with your catwalk and mezzanine needs. We are the source for OSHA compliant catwalks and mezzanines. 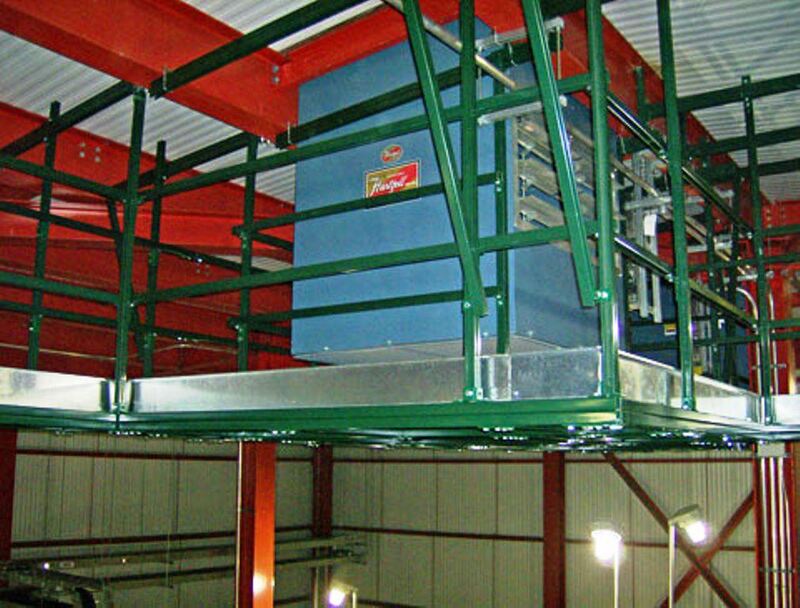 From simple ladders and small platforms to more complex structures designed to provide safe access to elevated equipment, we can provide cost-effective solutions for the conversion of unusable overhead space into efficient overhead maintenance walkway space. 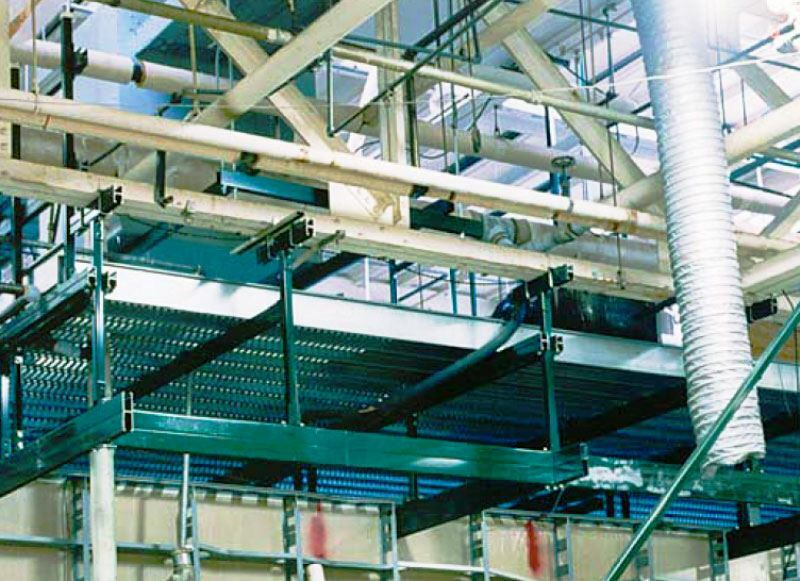 Unistrut catwalk and mezzanine systems utilize strong, lightweight United Interlock Grating and feature bolted connections to eliminate the welding associated with conventional steel fabricated structures. Lightweight aluminum or pre-galvanized grating sections reduce overall catwalk system dead load compared to conventional bar-grating systems. 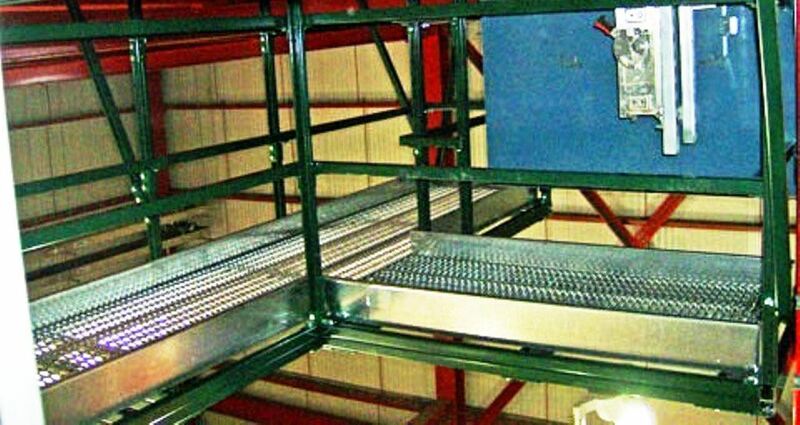 Roll-formed grating panels are made from structural grade steel. 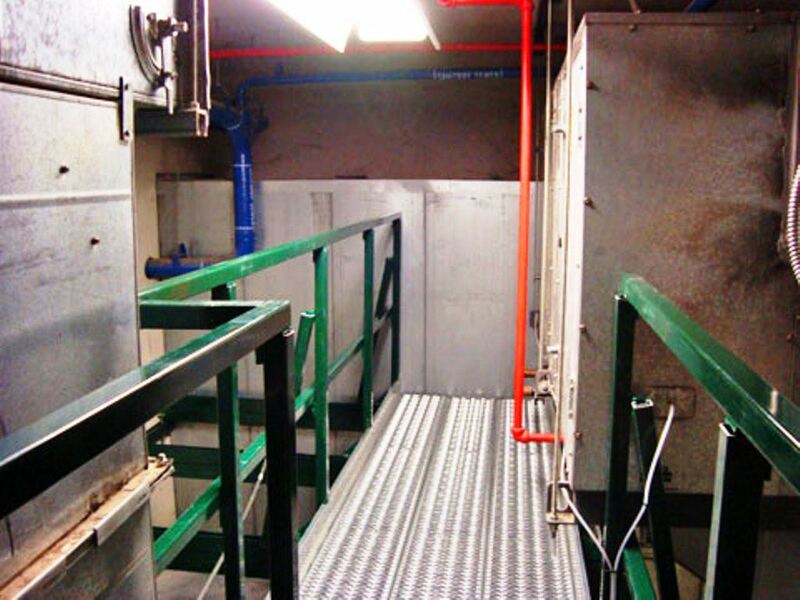 Exclusive 360-degree anti-skid panels are available for slip-resistant applications. Open-air design permits the flow of light and air prevents the build-up of water, grease, oil and other debris. Bolted connections eliminate the need for welding. 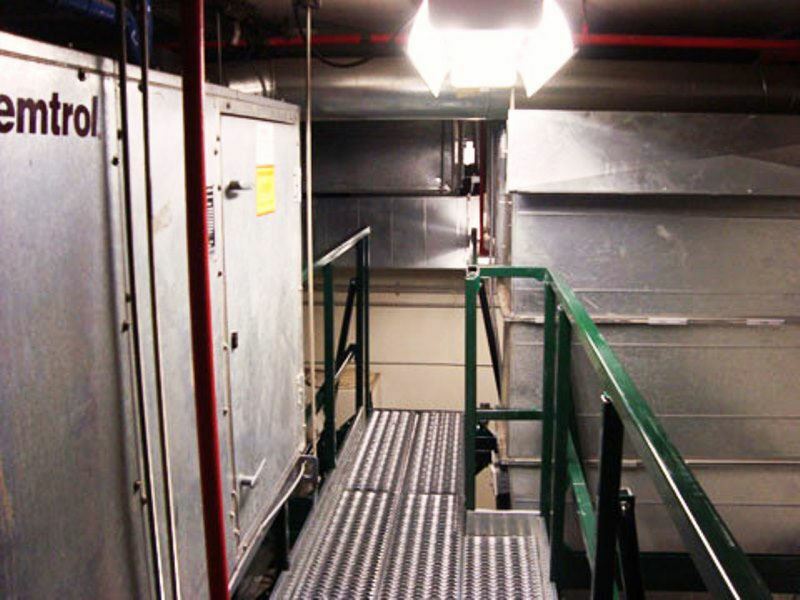 Unistrut catwalk and mezzanine systems are designed to customer requirements to allow safe access around existing obstructions or site conditions. Additional services such as structural calculations or engineering seals can also be provided. Catwalk designed from Unistrut framing channel provides safe access to control panel. 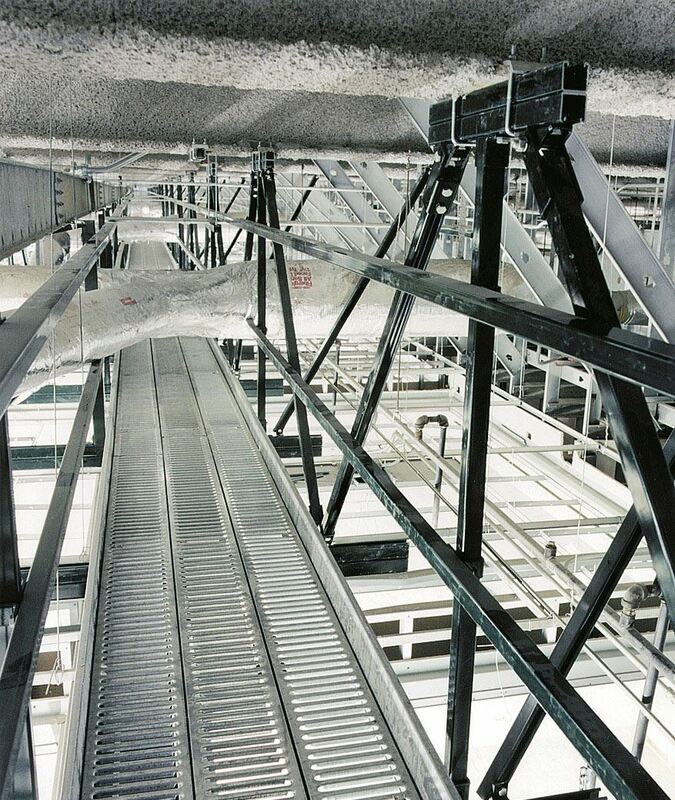 Catwalk system utilizing unistrut framing. 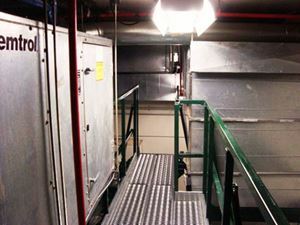 Customer worked from drawings and materials prepared by Unistrut Service Company, installing the catwalk system in two days. designed from Unistrut P1000, P1001, and P5001. OSHA compliant catwalk with guardrail, toeboard, and non-skid grating. The finished OSHA compliant catwalk system is fabricated from P1000, P1001, P5001, and United Interlock Grating. 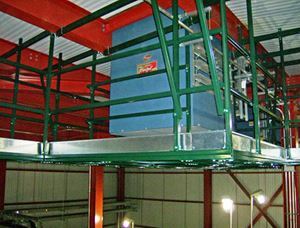 Unistrut and stuctural steel support system for catwalks.